Our newest game has just launched on PC and we are very excited to share it with the world. You can find the game on Steam where it is currently on sale for $7.99 USD. 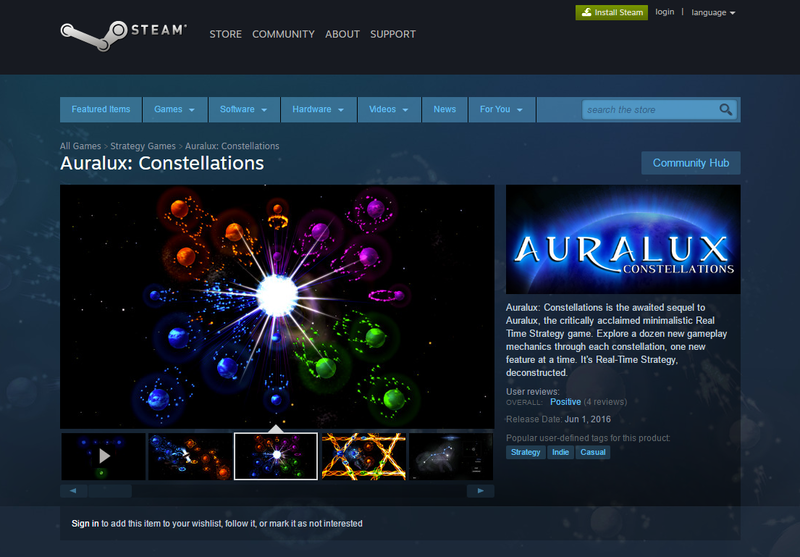 Auralux: Constellations is the awaited sequel to Auralux, the critically acclaimed minimalistic Real-Time Strategy game.